Earlier this week we spent the day in the Scottish Borders one of the best places to visit in Europe if you enjoy history and beautiful countryside. 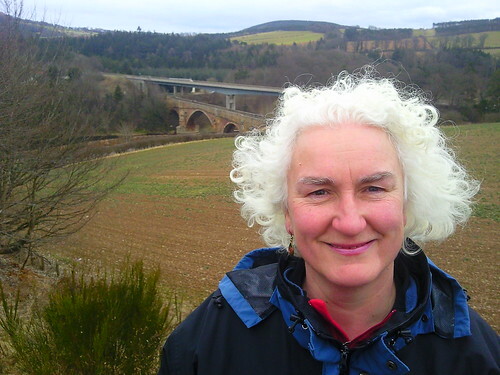 I thought that the best way to illustrate why I love the Scottish Borders was in a photo tour. 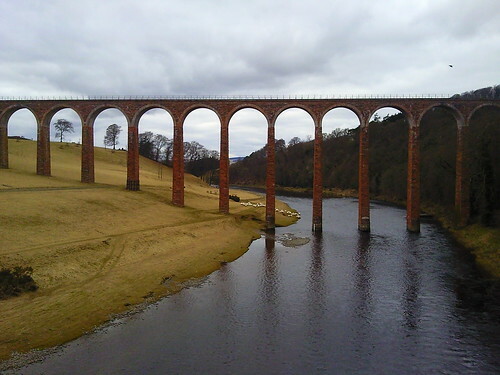 Our first stop was at the Leaderfoot viewpoint, just off the A68 (the Edinburgh to Jedbrugh trunk road), where 3 bridges span the River Tweed. The oldest is Drygrange Bridge constructed in 1780, closed to vehicles after the construction of the modern road bridge in the early 1970s.Â The Leaderfoot Railway Viaduct opened in 1860s but has been redundant since the branch line closed in the late 1940s.Â Unfortunately you can’t walk across the viaduct. Just up the from the bridge are the not very obvious remains ofÂ Trimontium a Roman fort. Next stop was Melrose, also on the Rvier Tweed. It’s said that Melrose Abbey is the burial place of Robert the Bruce’sÂ heart. 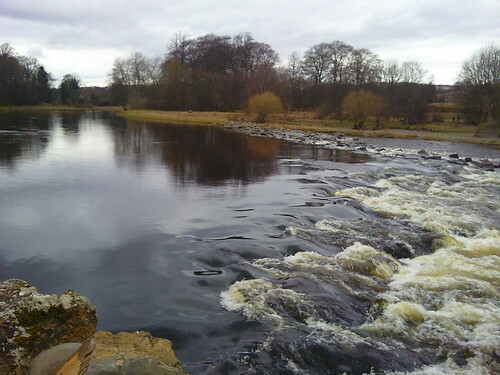 There’s a circular walk along the banks of the River Tweed in Melrose. 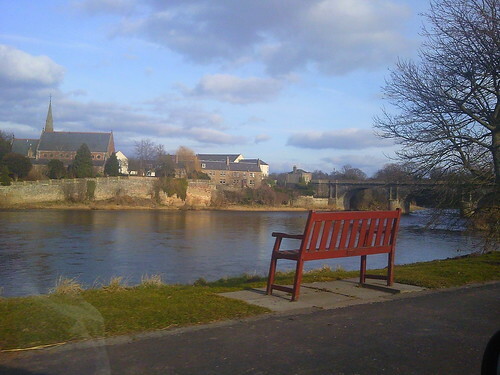 The town of Kelso where the 1803 bridge spans the Tweed, was on our way back. 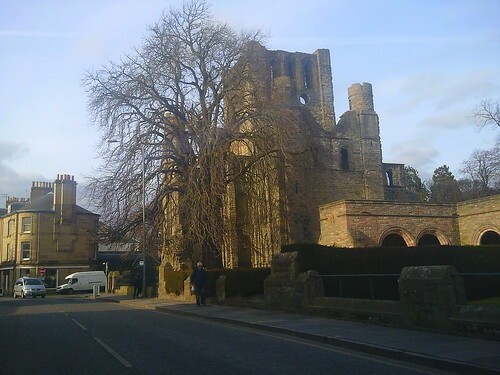 Kelso Abbey dates from the 12th century. I hope that you’ve enjoyed my photo tour of a day trip to the Scottish Borders and will visit soon to see it for yourself. You can see all my photos from our day out here. 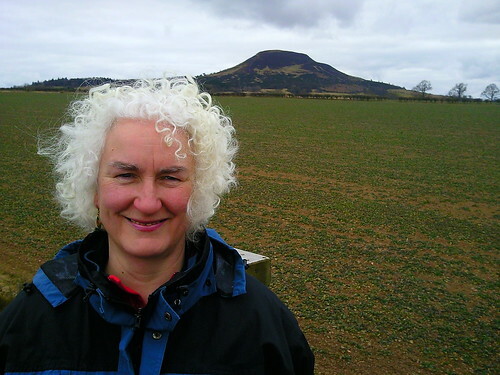 This entry was posted in Photos, Scotland on March 18, 2010 by Karen Bryan.